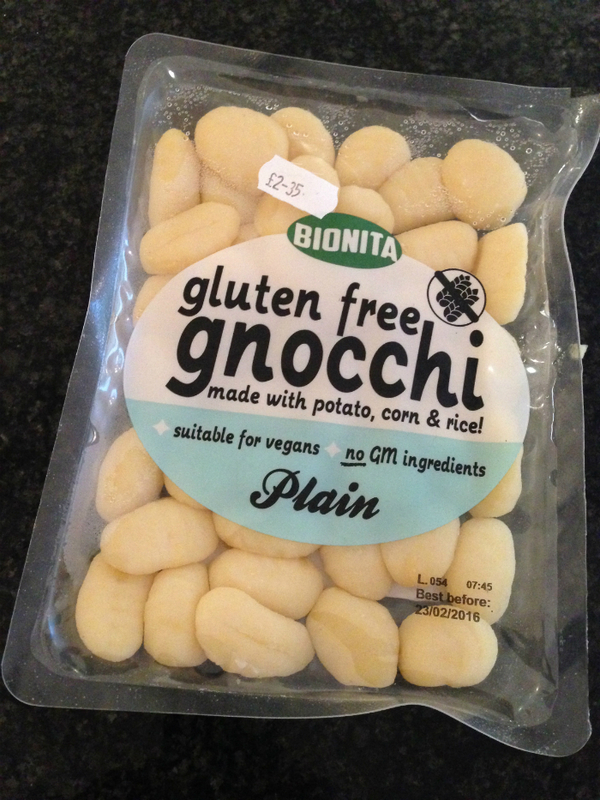 I came across the gluten free gnocchi in my local farm shop and deli. My first thought was that the packet wasn’t very big, I was hoping there would be enough for two people. 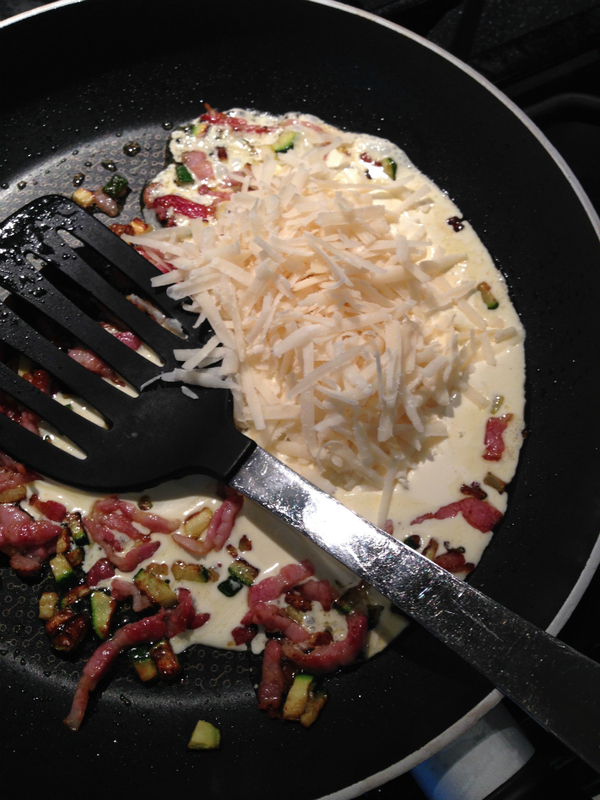 I think it could possibly be a starter portion for two. 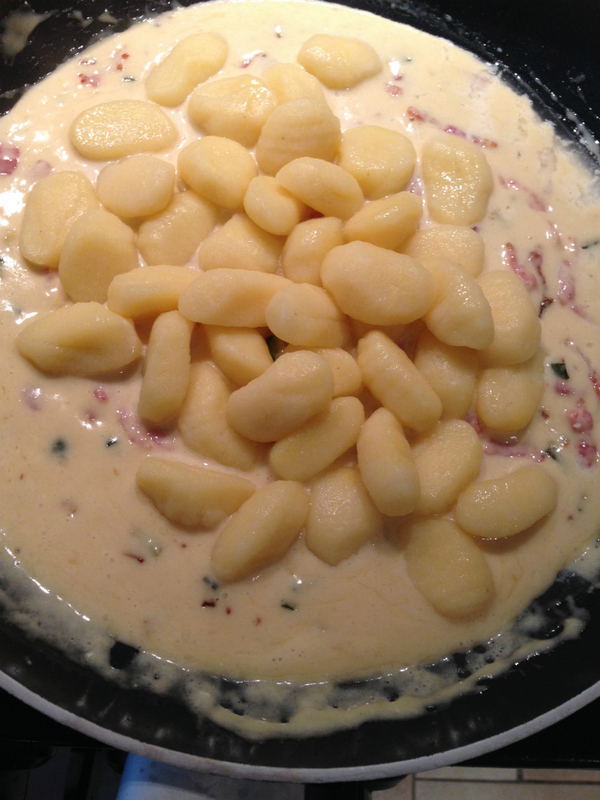 The Gnocchi is very simple to cook and I made a simple cream, cheese and egg sauce to accompany the gluten free gnocchi. 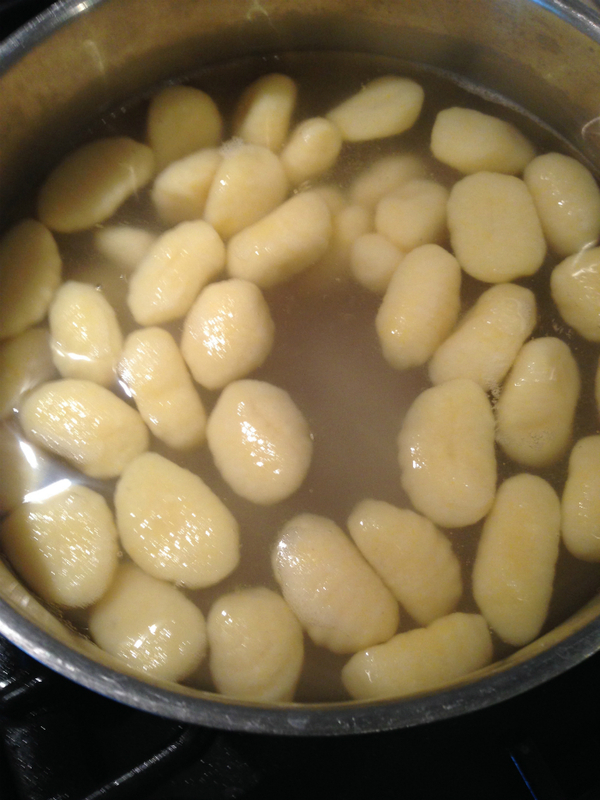 Just a couple of minutes and the gnocchi is ready. 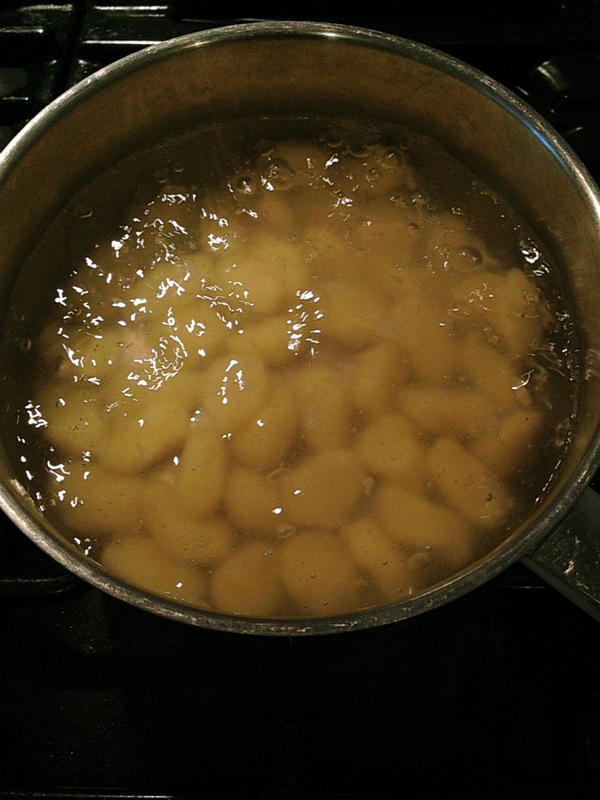 Finally I removed the pan from the heat and added a beaten egg and stirred it in the the sauce thickening it. 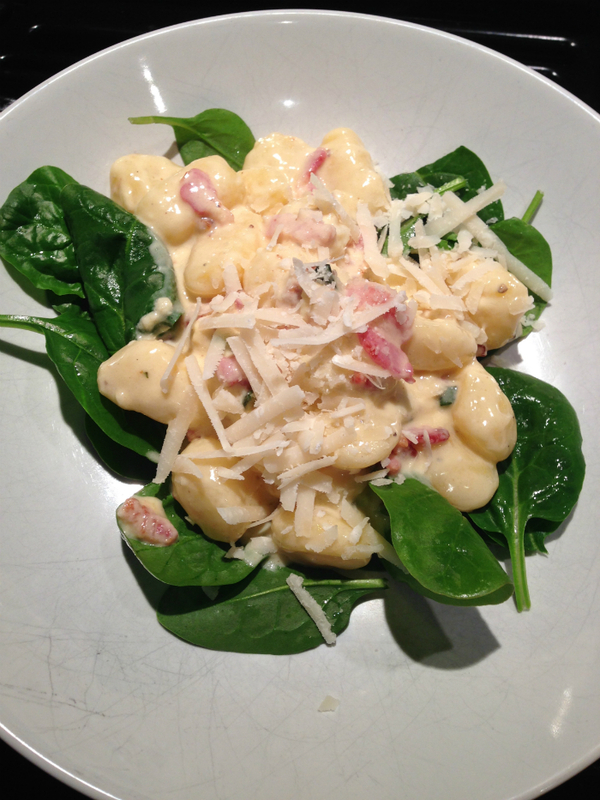 and placed some baby spinach to my bowl and spooned the gnocchi and sauce on top. 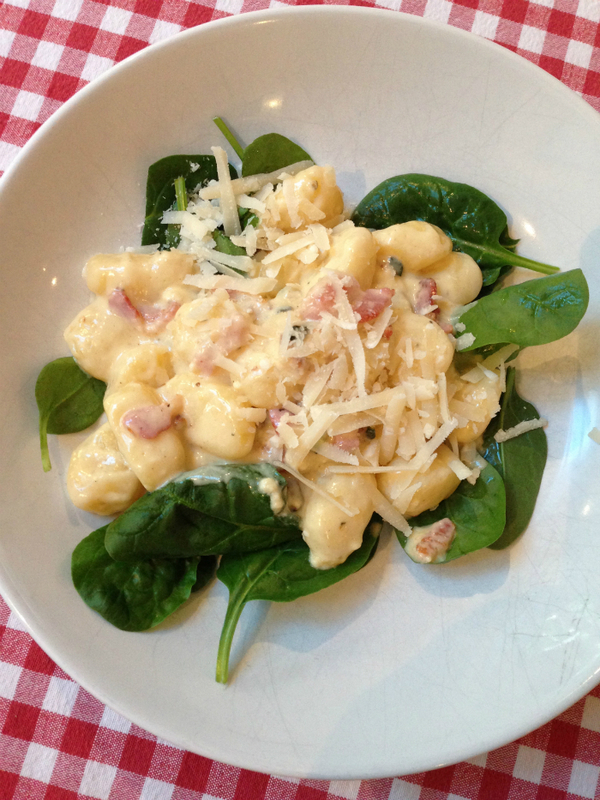 it was delicious and I can definitely recommend this gluten free gnocchi. This looks amazing! Where did you buy it? As soon as I read your comment I realised you’d said it in your blog post! I’ll have to keep an eye out for it. You can buy it at Ocado and they also do a spinach one, and some sort of tomato one. 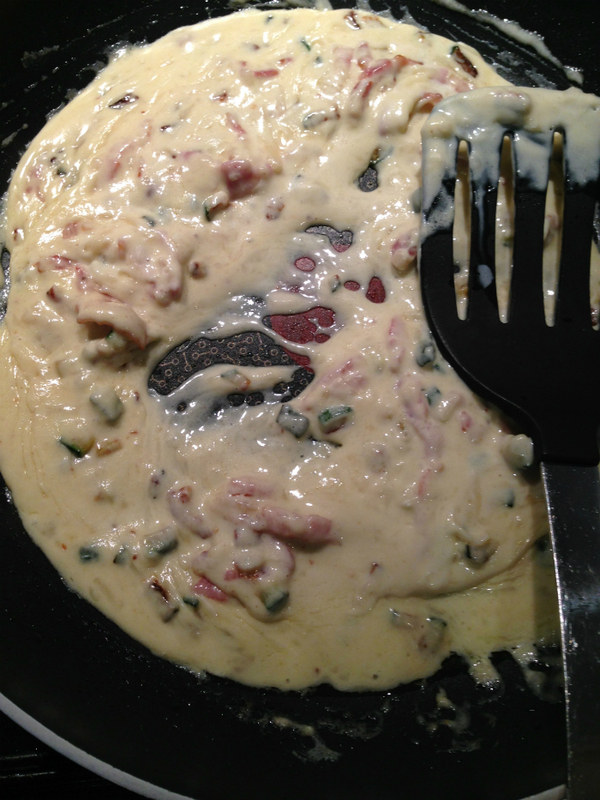 I tried pan frying it last weekend and it came out really well!